You are warmly invited to apply to the King’s Staff Week, taking place from Monday 5th March 2018 - Friday 9th March 2018, which will focus on innovation in mobility in Higher Education, explored through talks, workshops and discussion forums. King’s College London will be hosting a week of informative and social events set up to discuss best practices within various institutions, and introduce you to some key mobility topics which are being explored in the UK. Key emphasis will be given to engaging underrepresented students in mobility, promoting cooperation across the institution, developing and implementing the King's Strategic Vision 2029, supporting mental health in Study Abroad, among others topics. This staff week will provide the opportunity for staff working in International Offices globally to cooperate and share ideas regarding innovation in mobility within Higher Education. It is also a significant opportunity to network with colleagues on key mobility topics. More information on the King's College London Global Mobility Office can be found here. There is no charge for this staff week, but if you are interested in attending some of the social activities we will request a contribution towards this if your application is successful. There is a limit of 1 affiliate per institution. The confirmed schedule of activities will be made available to successful applicants in January 2018. Please apply to the King's International Mobility Staff Week here. The application deadline is Sunday 7 January 2018, 23:59 UK time. 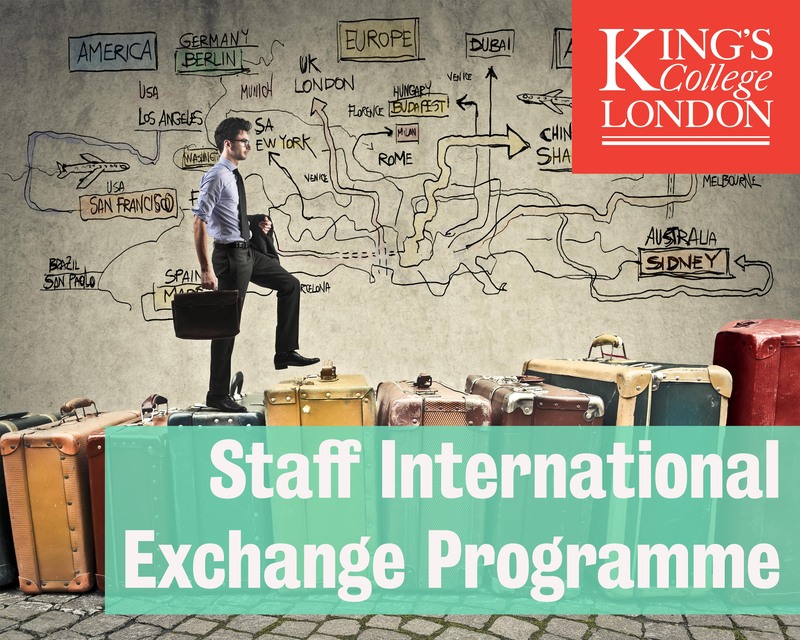 If you have any questions please feel free to email Else Dierick on exchange@kcl.ac.uk. Hopefully see you soon at King's!